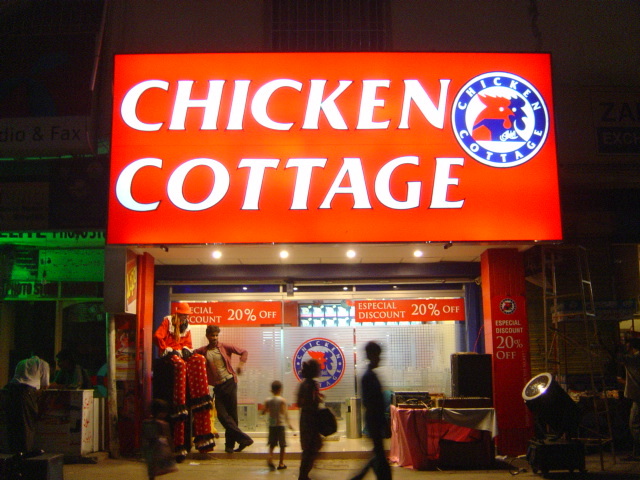 Chicken Cottage is probably one of the worst foreign franchises ever to hit the Pakistani shores. Hailing from the English shores, it maybe a popular brand at home but here the way it is being handled and the standard of its competitors, there’s no way it would survive for long. 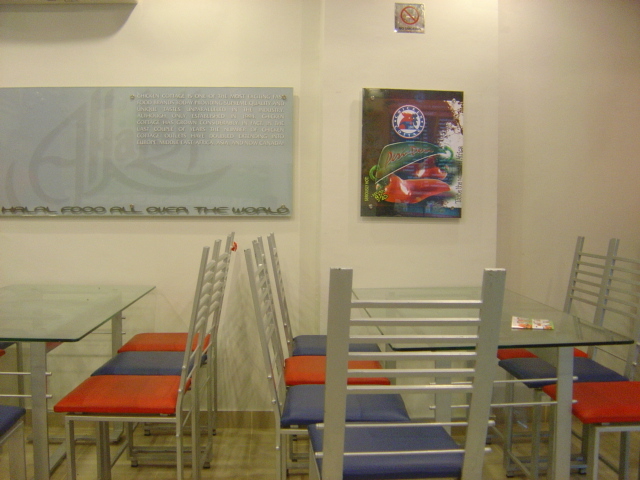 In fact it has already taken a hit when it was forced to close down its very first joint in Hyderi due to dismal sales. 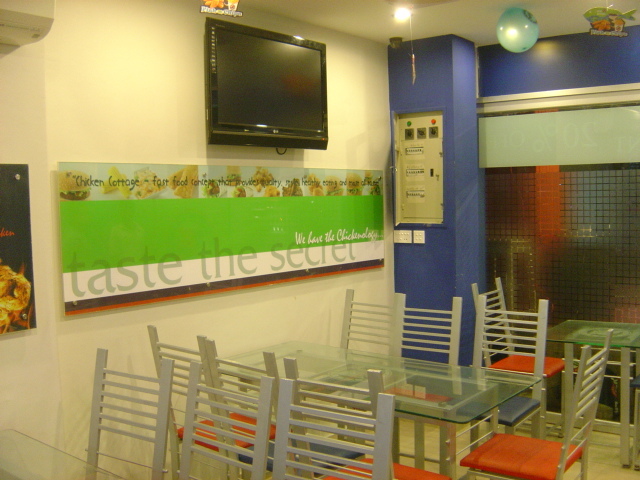 Now it has opened shop on the famous Johar Mor in Gulistan-e-Jauhar. Marketing wise it is doing quite well. In fact the only reason it has survived this long is probably because of its marketing rather than the product itself. 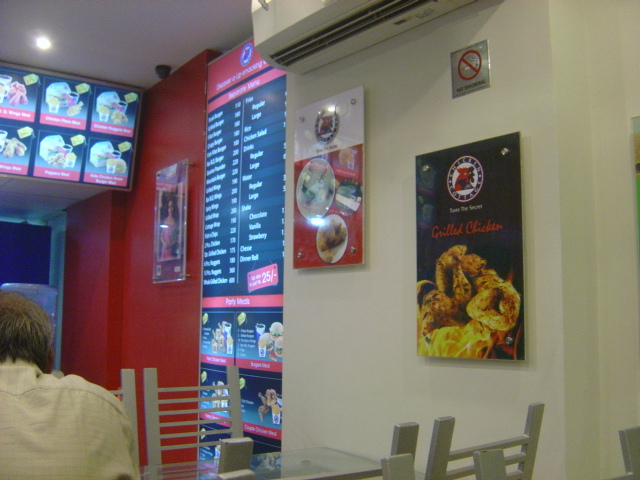 When it first launched in Hyderi, it spent a fortune on billboards and banners plying the main roads and flyovers in that entire district, playing on its English roots. The joint did a roaring business in the days immediately after the launch. However, after a while, the euphoria died down and the only thing remained in its wake was the report that Chicken Cottage was expensive and awful, a poor substitute for KFC. No doubt the place closed down. 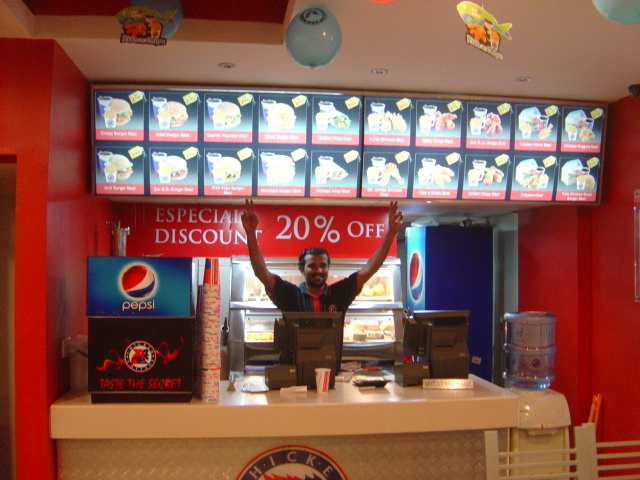 The Johar joint had a good launch strategy as well, what with 20% discount on the first three days and a clown hanging outside to woo the children. And the strategy was working well because the place was getting some foot traffic. However, a marketing strategy can only take you so far. You need to have sound management to make things work. On the second day that we visited, when the lights went out courtesy the scheduled loadshedding, the generator worked for a few minutes and then everything was shrouded in darkness. When the eerie darkness remained for more than 10 minutes, we inquired what was wrong, and the meek reply came that the generator was out of petrol. By the time the petrol arrived, we had managed to grapple successfully with our food but were completely drenched in sweat. The justification given was that because they had just opened, things were still a little out of place. 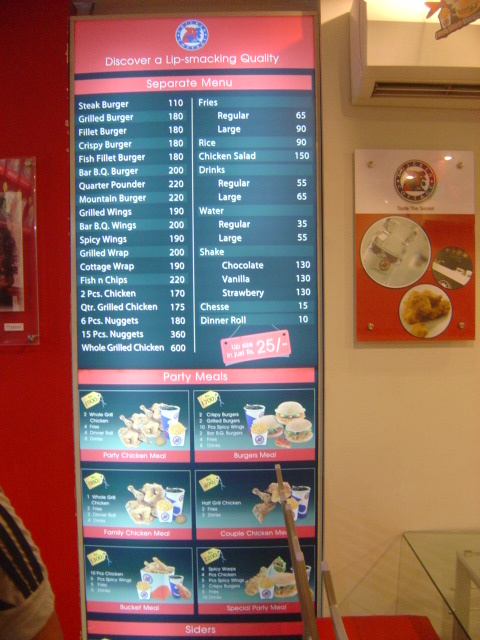 Imagine a UK-based fast food franchise. How could they not prepare for the loadshedding especially when it is on schedule now and they had already ample experience of Karachi market by operating in Hyderi. This is something totally inexcusable. And if this was not enough, the food was remarkably mediocre and exorbitantly priced. 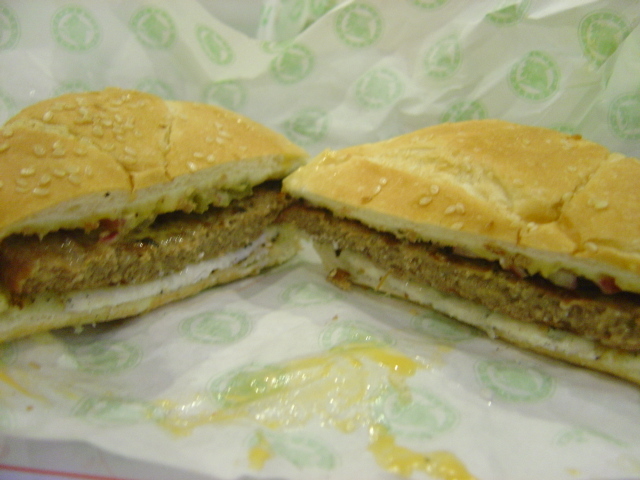 We tried their Mountain Burger, the Fish Fillet and the Quarter Pounder. First, the Mountain Burger. 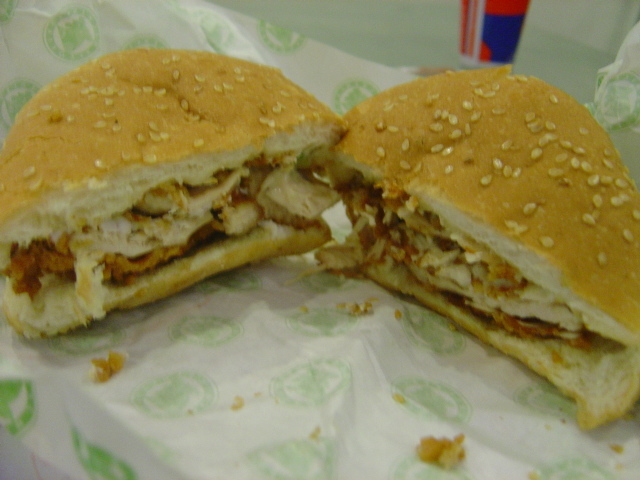 It was supposed to be a double-decker of sorts with a crispy chicken patty on top of which sat a chicken fillet patty. 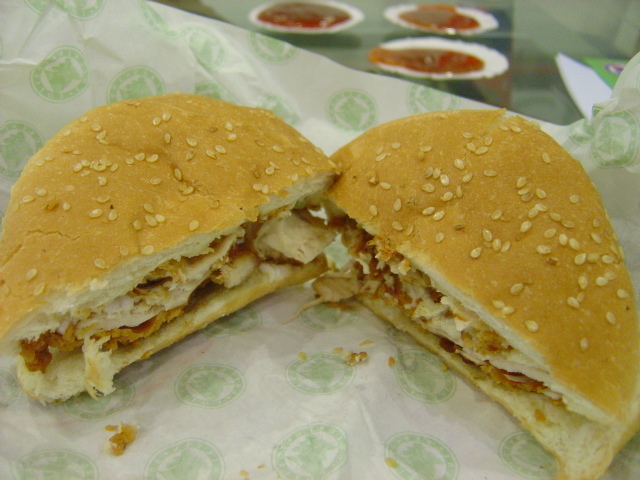 In reality, we were hard-pressed to find the other patty, it was that small. The crispy part was so dry that it felt like we trudging through the Sahara desert instead of munching on a crusty burger. We tried to counter the dryness with the soft drink but the drink was an ordeal in itself. It tasted more like the soft drink that they sell on the thela in which they pump gas of their own. 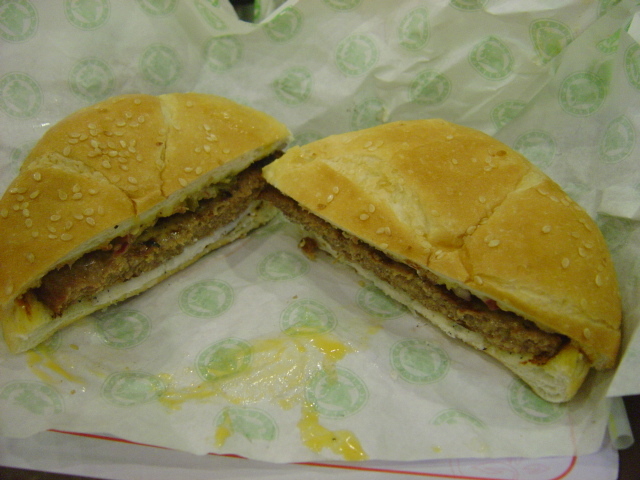 Then came the Quarter Pounder, which they claim to be made of lamb instead of beef. It tasted like beef and was the better of the other two. 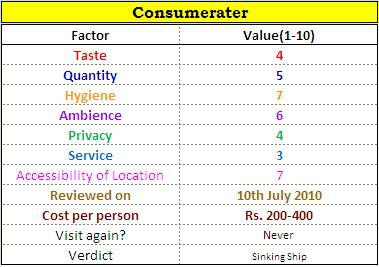 However, the size does not justify the price. At Rs. 299, you better make the meal (burger+ fries+drink) fulfilling enough which it wasn’t. The fish fillet was another disappointment. It tasted more like almond than fish. Again the size did not justify the price of Rs.270. 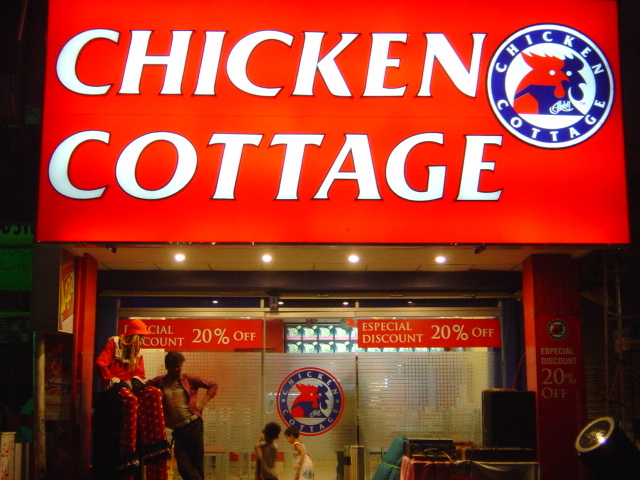 Bad Service, Mediocre Taste, and Outrageous Price – this pretty much sums the brand essence of Chicken Cottage. If it is to rise above the competition, it will have to do a whole lot more than what it is doing now. Our prediction is that it’s not going to last for long. 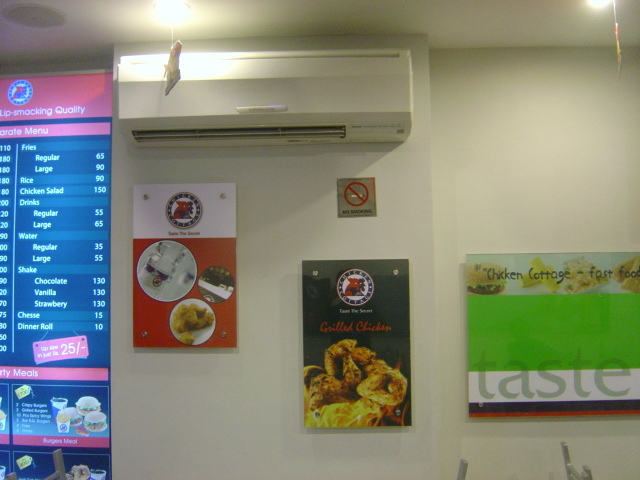 Well they have shifted their location now, they are located near Qasar e Shereen in the service road where the first Mc Donalds outlet used to be. Their quality has degraded like they are using old oil to fry the fries and you know how that tastes like, i can tell if old oil is being used cuz it burns my throat and the fries taste odd and do ensure they are not selling expired soft drinks as the 7-Up i got in the burger deal was on its last date of expiry.